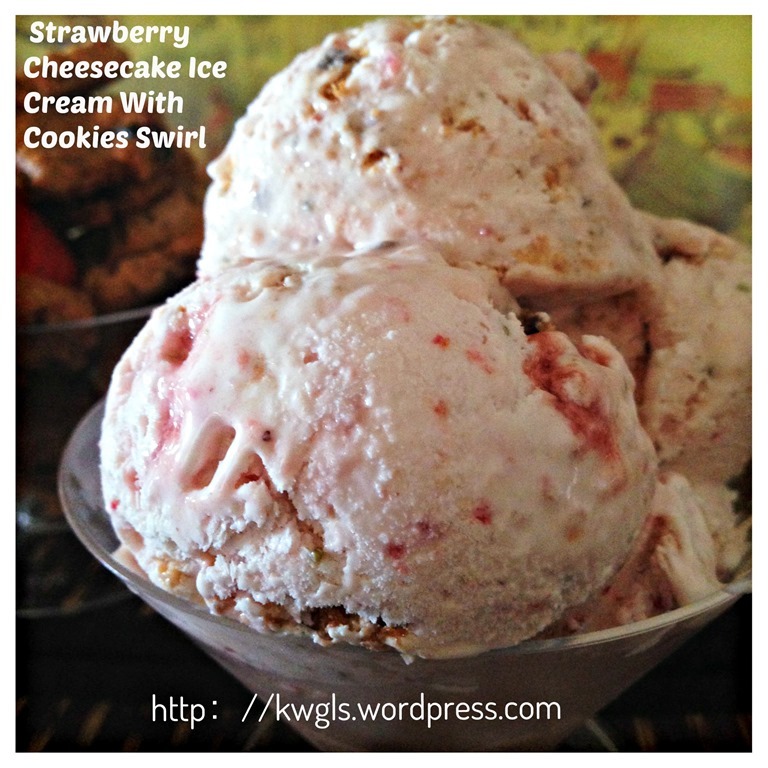 I saw the ice cream on display in the shelf and I decided to replicate the ice cream, a Tom and Jerry ‘s strawberry cheesecake ice cream with cookies swirl. I have tried once and I do not think that it will be that difficult to replicate, pardon me for not being humble. In addition, I have some chocolate cookies leftover from Chinese New Year and some mascarpone cheese & cream cheese sitting idly in my fridge, it would not be a bad idea to turn it into ice creams…I bought a box of strawberry and when I reached home, I can’t wait to put my hand to start this adventure. 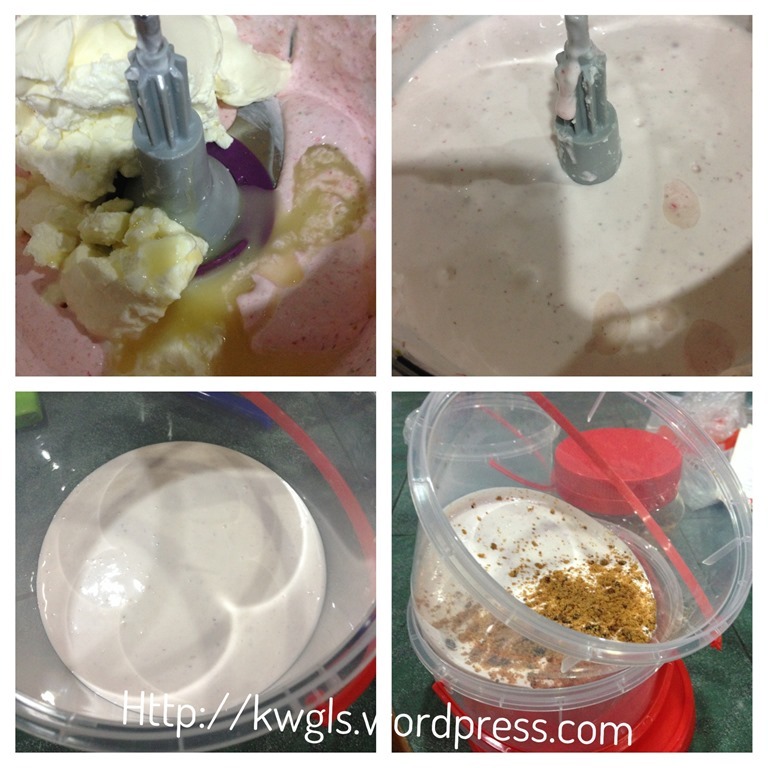 This is not my first attempt of making ice cream using cream cheese. In fact I have prepared the peanut butter cream cheese ice cream before. That is a good one too.. I also like to keep my chilled cheesecake in the freezer and I will defrost/thaw it when I wanted to take a piece.. 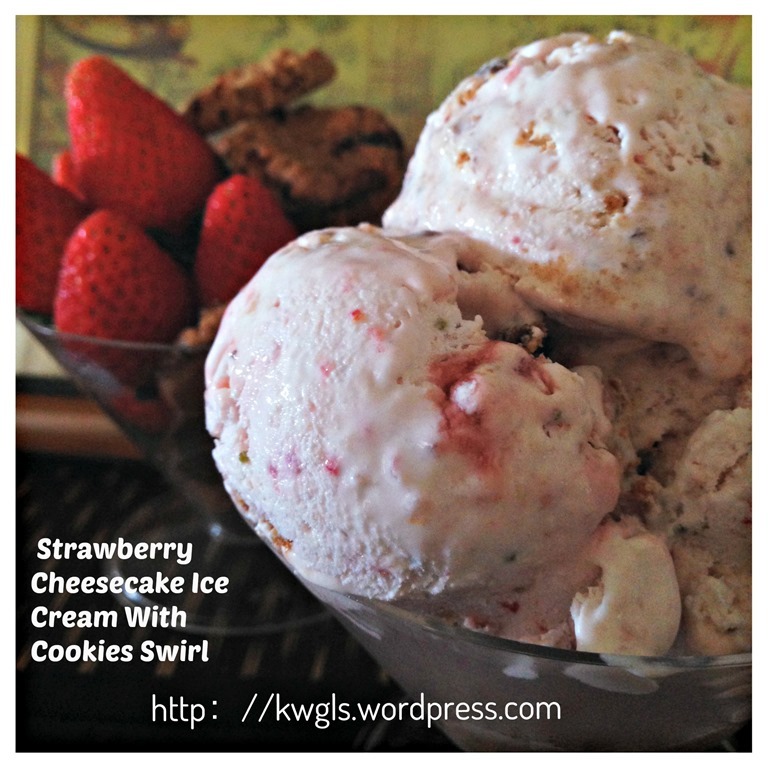 Cream cheese froze well and they are good substitutes of heavy cream. 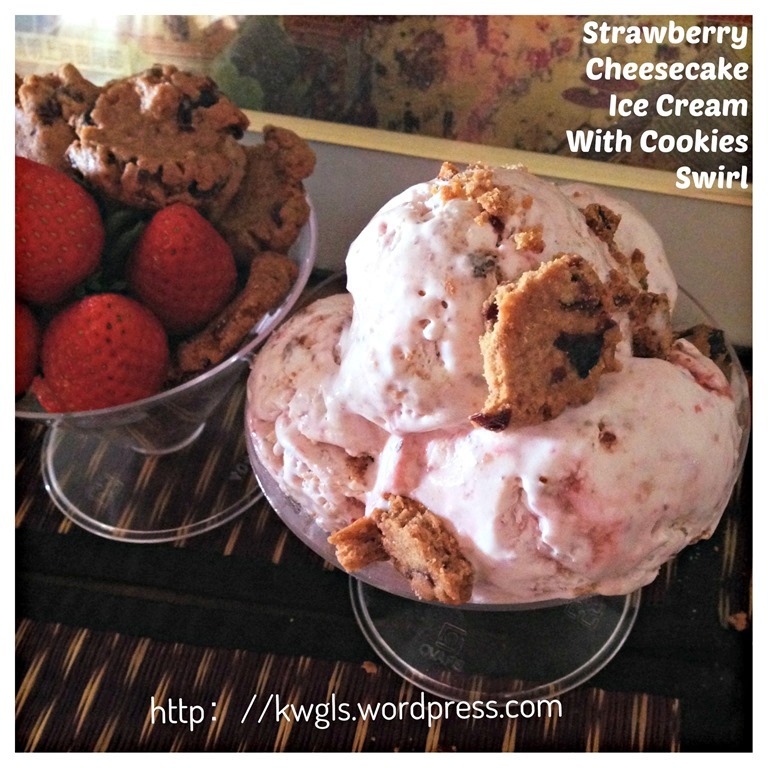 I have decided to use a food processor this time to prepare the ice cream because I wanted to process my cookies and make my strawberry purees. Since I have already dirtied the food processor, I have dumped every other ingredients into the food processor and come out this simple ice cream. 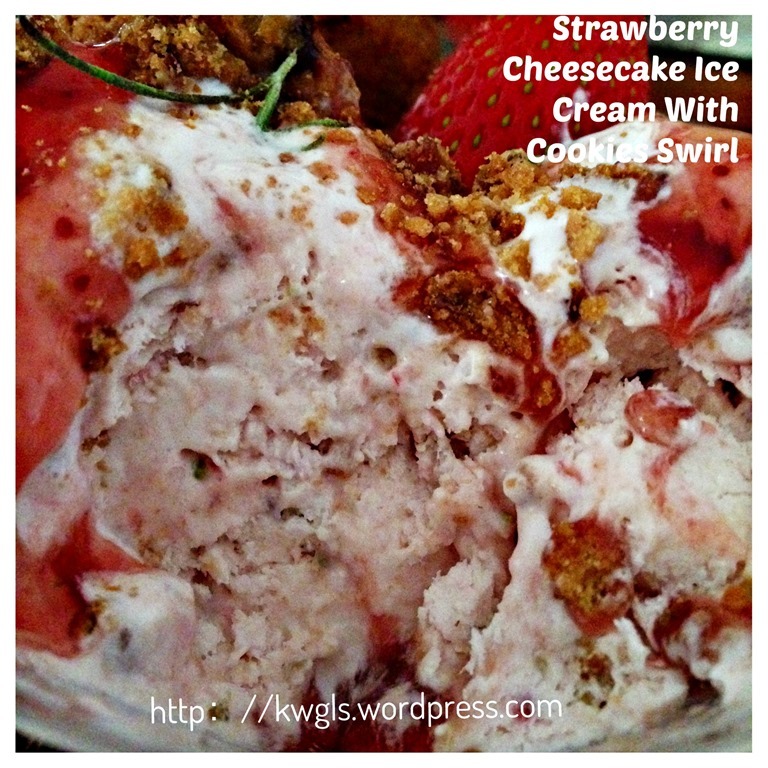 Taste wise, can hardly differentiate from those sold over the counter… It is creamy as expected and incorporation of mascarpone cheese definitely make it a better ice cream. Mascarpone cheese is a type of high fat content cheese (60%-75%) cheese usually used for tiramisu but that is not a must. Cream cheese with fat content of 45%-60% is acceptable, and of course it will not be as creamy as mascarpone cheese… I have taken these picture in a very hot day, the ice cream did melt a bit when I did my photo taking. Pardon me for that. Place the cookies in a food processor. Blend until fine. You may not want it to be overly fine if you want something to bite. Take out for later use. 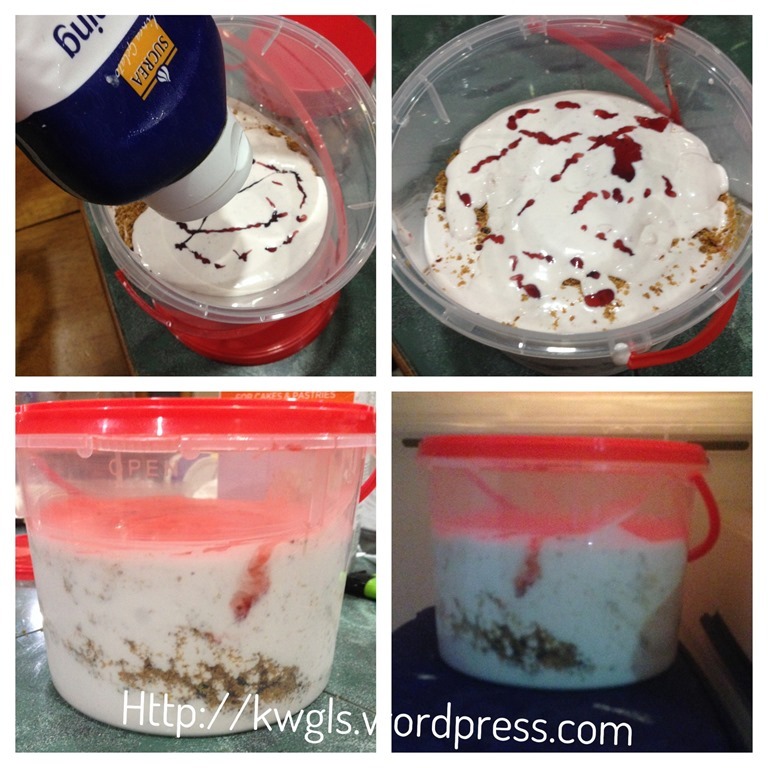 Add the strawberry and the whipping cream, blend until puree form. Add the cream cheese and/or mascarpone cheese, condense milk and blend until fine. Volume may increase as air is incorporated into the batter. Get ready a container, put some ice cream batter. Sprinkle sparingly with some cookies crumbles. Depending on your preference, you can tilt your container to slightly make a pattern. You can pay a small fraction of price to prepare this .. Do give it a try and I am rather confidence that it will not disappoint you. 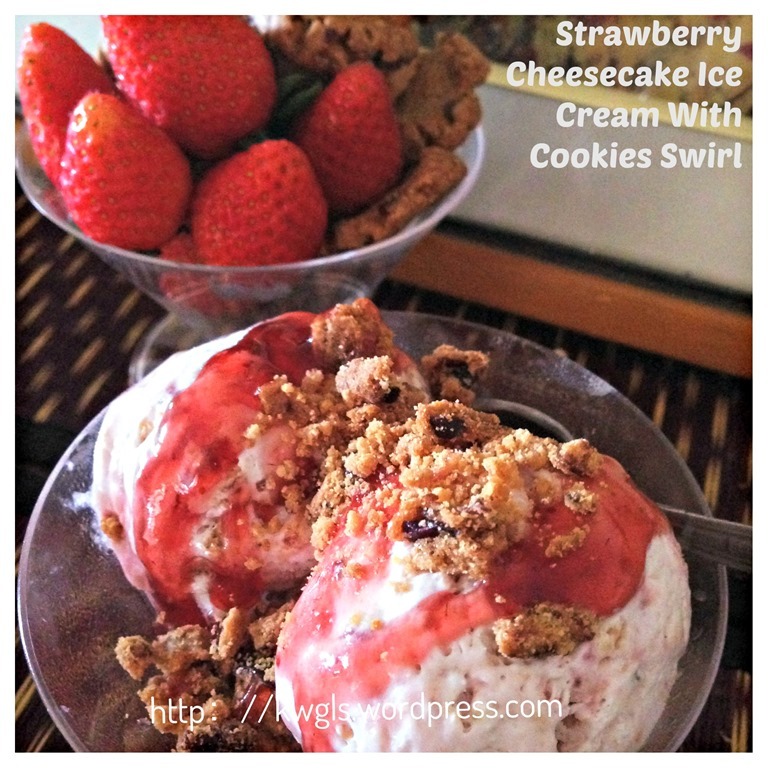 This entry was posted in Desserts, Food Preparation Series and tagged 8, cream cheese ice cream, 草莓奶酪冰淇淋, GUAI SHU SHU, Guaishushu, kenneth goh, postaday, Strawberry Cheesecake Ice Cream With Cookies Swirl, strawberry ice cream. Bookmark the permalink. 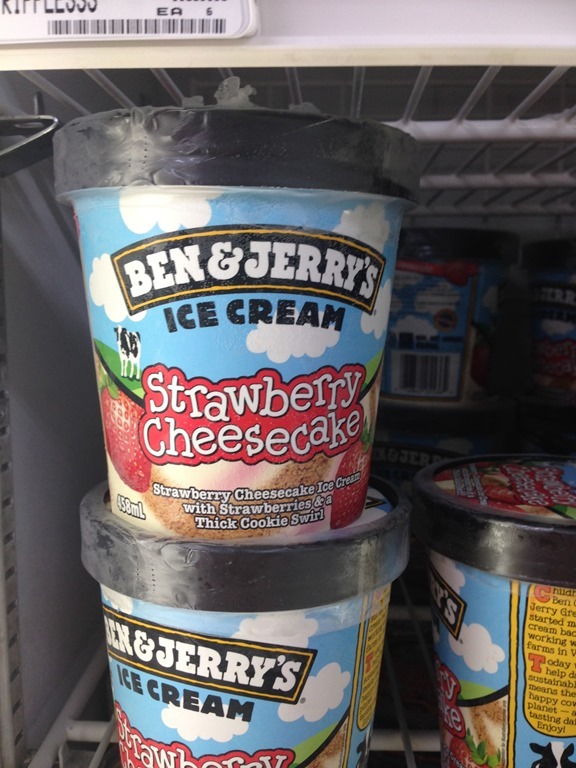 This cheesecake ice cream looks so tasty. Do you think it would be okay if I eat it for breakfast? 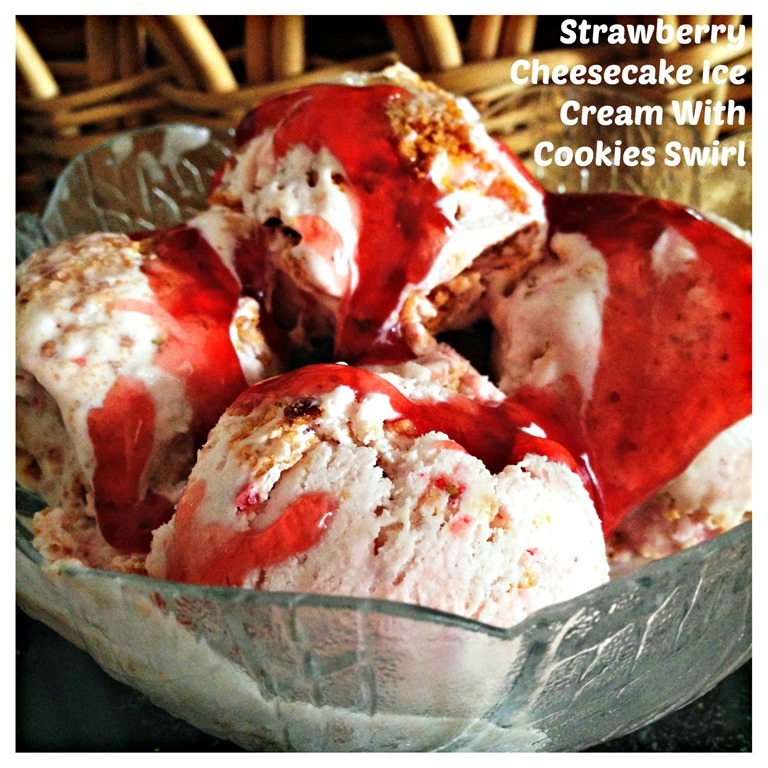 This looks amazing – I think the melty bits made the pictures look even better, actually. 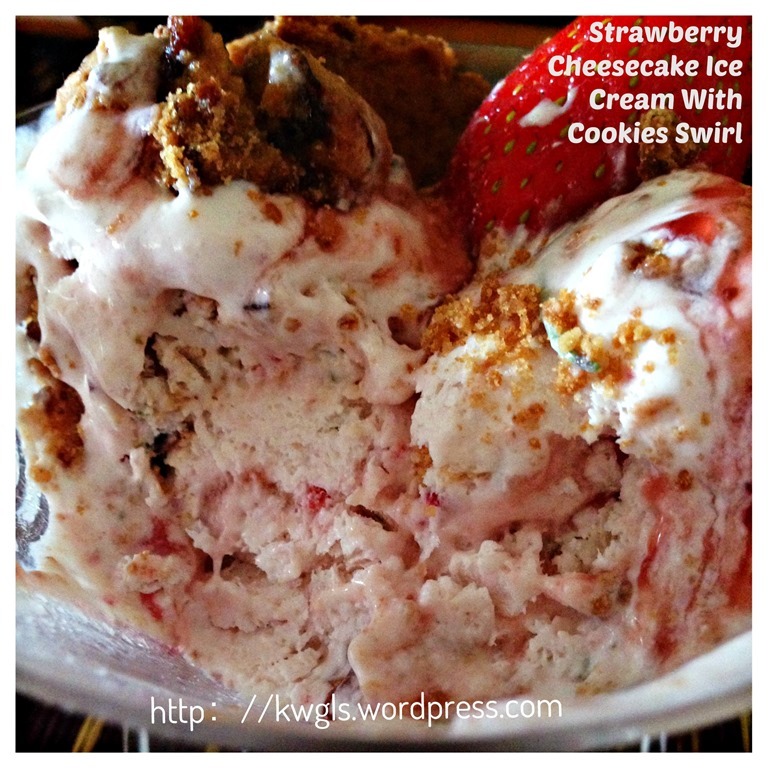 I’m surprised that you can make this just by putting it in the freezer- no ice cream churn needed?? Thanks for dropping by. 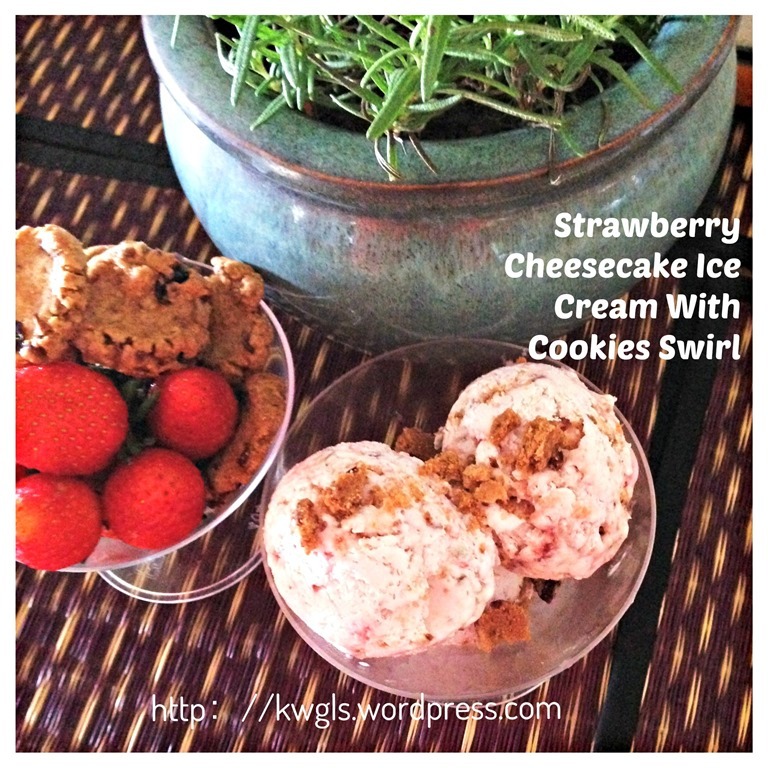 Yes, no ice cream churner needed. Over here, no many people have an ice cream churner.. Cream cheese will not need such machine to make it even. have a nice day. No, condensed milk is to sweeten. 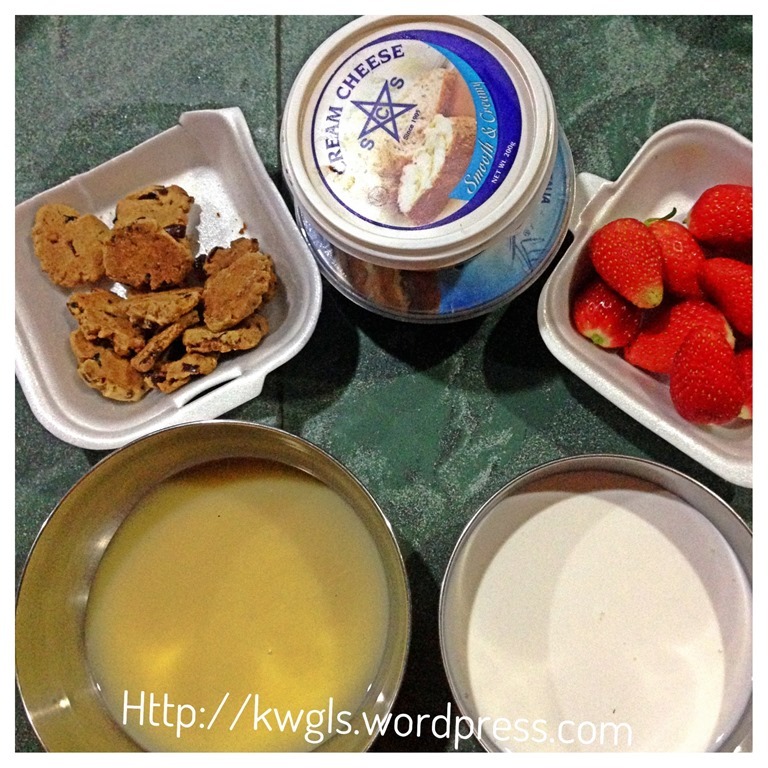 If you wanted to use up all the cream, just add all, it is ok to be a bit creamy and condensed milk maintain. Looks so yummy! But I dun have a food processor. 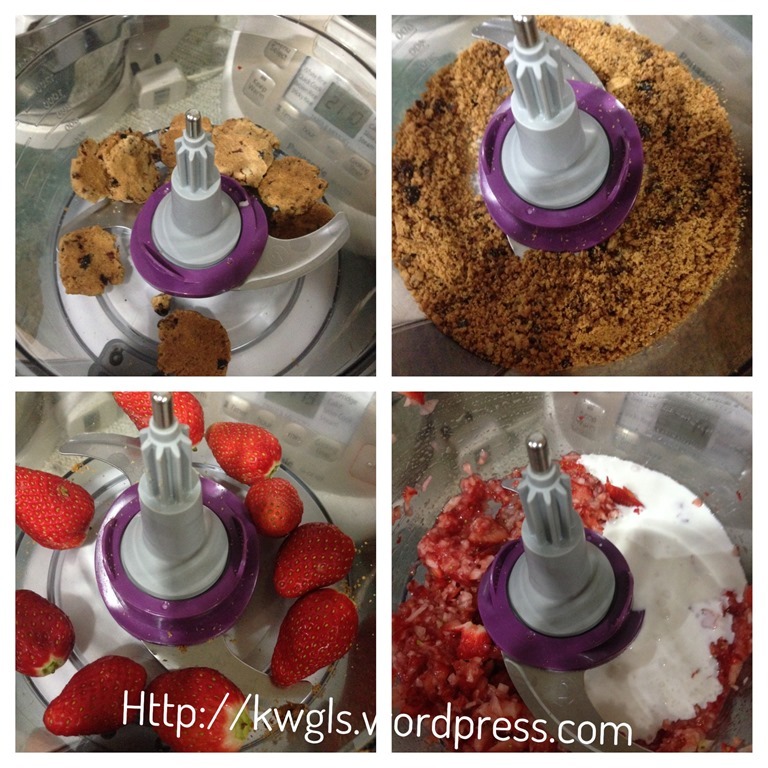 Can I use a Kenwood cake mixer instead? 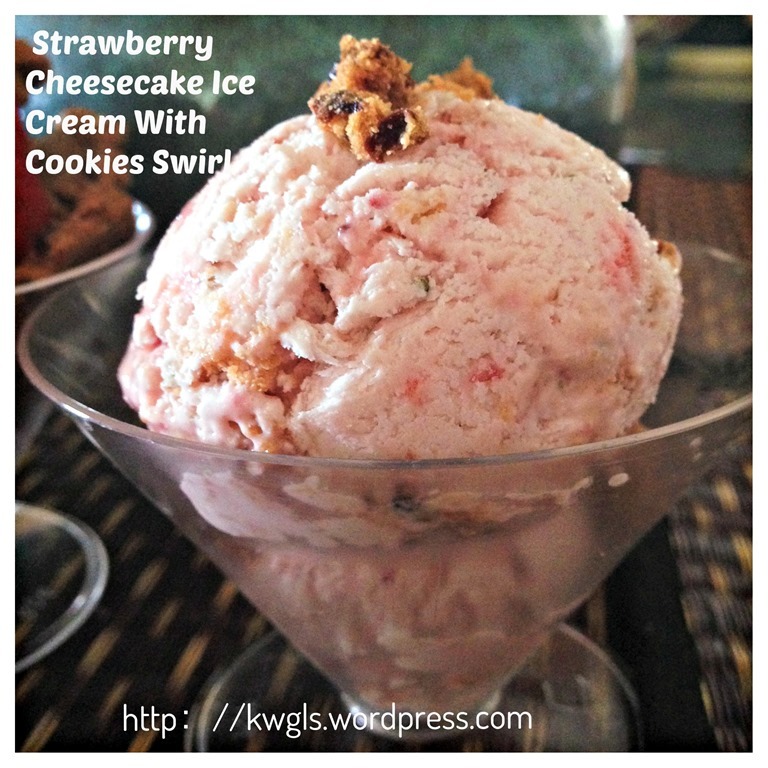 Any recipe for normal ice cream without using cream cheese? Eg plain chocolate ice cream? Yes you can . 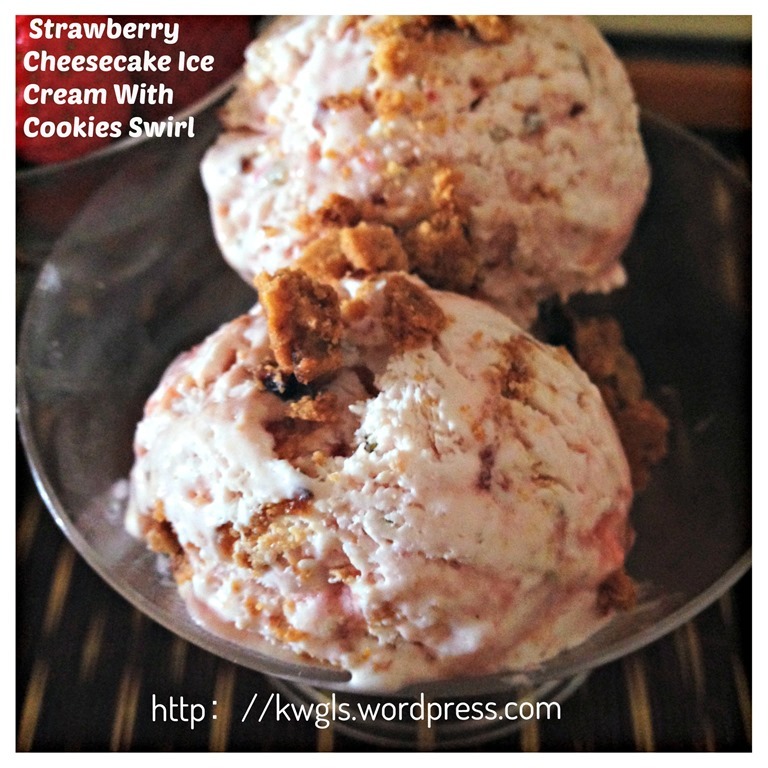 For other ice cream recipes, please google “kenneth goh ice creams” for other recipe.